Our last Closed Beta Session is set and scheduled for Sunday 23 September. The last wave of keys will be handed out to all players who already signed up for the beta on our website. All server regions will technically be able to play in any time slot, but we encourage players to stick to their regions for the best experience. In this session we will mostly focus on stability testing to make sure everything is ready for the big day that is Battlerite Royale Early Access launch. This means that testers will use their Battlerite account if they already have one. This is important to know because it means all progress will be saved and if testers spend currency in the Royale closed beta, it will affect their Arena account and will not be revertible! 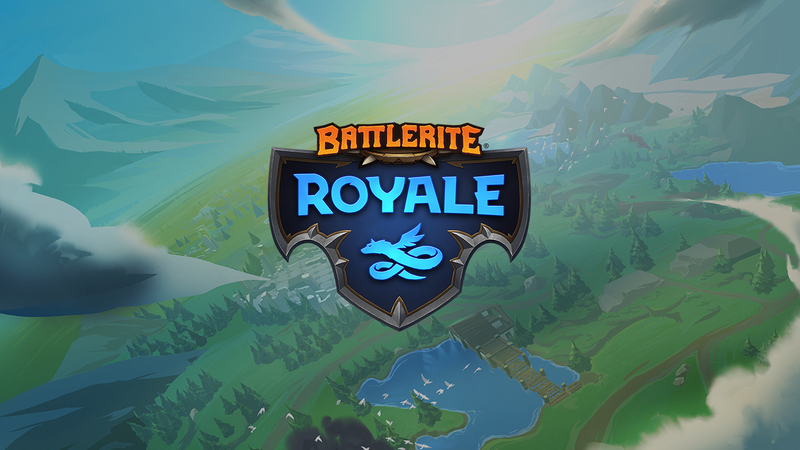 Want to Play more Battlerite Royale? Battlerite Early Access launches September 26 on Steam, right here! For information about how much Early Access costs and possible rewards for existing Battlerite players, please read the FAQ, found here. Note that we are updating the Legendary Ember Tiger Mount reward so that it can be claimed even if players purchased the All Champions Pack or the Ultimate Fan Pack after Battlerite Royale Early Access releases. Thank you for your feedback and questions, we are joyously overwhelmed with the interest players have taken in Battlerite Royale so far. Our goal for the Early Access period is to fine tune and polish the Battlerite Royale experience ready for the free to play launch. This period will extend the opportunity for you to provide feedback on Royale and help us to improve. Will the match player count increase? It’s possible. Right now we are relatively happy with the latest increase to 30 players (or 15 teams). Changing this number, although not impossible, has a big impact on the game from loading times, map design, loot density, item distribution, combat situations and more. So if we were to change this in the future, we need to consider the impact it has on everything else and the value of making such a change. Will we get squads or teams larger than 2 players? We don’t have any plans to add teams larger than two at the moment. There are a lot of elements in the game which currently aren’t optimal for larger teams and would require major re-designs. This might be something we consider at a later stage of Battlerite Royale. Why don’t we start with all abilities? We’ve previously tested with full ability kits from the start, but found it took away from the Battlerite Royale experience. It’s good that you want your full ability kit, but always having it from the start makes the game feel repetitive. Having to adapt and strategize around what abilities you find creates a lot of different experiences. One match you might have to flee or hide, while other matches you may decide to go for early ganks. Additionally, the feeling of being weak vs strong creates different emotions. When playtesting with full ability kits we found that players engaged more in combat and less in looting. This removed the feeling of ever being vulnerable which is a big part of the Royale experience. We believe that this variation of gameplay and emotions is very healthy for the game overall. We are monitoring and fine tuning the balance between RNG and strategy to find the sweet spot. Vendors were an addition to reduce RNG, allowing players to get hold of missing abilities and we will look into more solutions similar to this if needed. We’re also carefully looking at Champion balance in the early game, as some Champions will obviously be stronger by nature during different phases of the match. One change we have implemented for the upcoming beta session is that we’ve reduced melee Champions movement speed whilst they are attacking to reduce their stickiness. This should make it easier to flee in early game if your Champion is at a clear disadvantage. Will items and consumables be improved? Absolutely! In fact your feedback on items and consumables is essential for us to create new and improve existing items and consumables. For the upcoming beta session we’ve tweaked some of the values of existing consumables to make them more useful, we’ve also changed the “Consumable Hook” into a “Ninja Hook”, you can now additionally use it to drag yourself to a wall allowing you to use it in multiple-ways. Can we solo matchmake into Duo mode? We do not currently support this as we feel it would require easier ways to effectively communicate with your teammate which we don’t currently have. We agree. We are aware that it’s not optimal to define, currently 15 teams, by color, especially not for the colorblind players. We will be looking into better ways to distinguish teams or add options for the players to choose during Early Access. We apologise for this inconvenience and hope to fix this as soon as we can. We are currently working on a big improvement for our minimap, both in terms of map textures and map icons and plan to continue to improve the usability of the map in Early Access. We agreed this wasn’t as usable as it could be. Right now, you can drop items by hovering over the item and pressing X, but we have added drag and drop functionality for the next beta session. Now you can drag and drop any item (equipment, abilities or consumables) into the world and you can also rearrange your consumables and equipment using this method as well. We experimented with roofs in earlier testing of Royale but none of these experiments felt as fluid as the current implementation. In general, it felt weird to allow diving and jumping through roofs and we noticed there would be a lot of balance issues if, for example, we only allowed teleports to go through the roof and not physical jumps. Therefore, for now, we think no roofs is the better experience. Will we ever be able to ping the map in Duo? It’s going to take a lot more time for us to achieve a perfect level of balance with Champions. The “Support” archetype label has been removed. For now we are only labeling Champions with their attack-type (Melee or Ranged). As all support Champions have been pushed more towards damage, and since a big part of Royale is played as solo, this archetype did not make a lot of sense and caused perception-problems. We have some ideas for introducing new kind of labels/archetypes but are still working on this – so for now we will only label Champions by attack type. During the early-access we will evaluate how and what services we will enable as paid alternatives. There will not be any items or services that affect your power level within the game. Services could include champion unlocks, cosmetics, and boosters. Purchasing Early Access guarantees access to all Champions. In Battlerite Royale we are introducing a new premium currency called “Diamonds”. It works similar to Gems and allows you to purchase cosmetic items and services. During Early Access we will allow players to directly purchase cosmetic items for Diamonds as opposed to loot boxes that are used in Battlerite Arena. This is a good opportunity for us to evaluate different strategies regarding how and what we sell. This does not mean that we will necessarily remove this option in the long run but to begin with we will not sell loot boxes for premium currency. You will still be able to obtain boxes as rewards and via ingame currency. Will you sell items in Arena for Gems as well? We will evaluate this throughout the Early Access and make adaptations to Arena if we deem it necessary. We will not enable direct purchases for Gems right now but it might or might not be something we will change in the future. Why can I not use my Gems in Royale? Why are you introducing a new currency? From a customer perspective we understand that this would be optimal as we are already sharing battle coins and tokens, however it’s a bit more complicated. Battlerite as a game does not have the same partner agreements as Battlerite Royale and therefore we cannot simply share a real-money currency between the two titles. Based on rarity, items on the ground now despawn faster towards the end of the match to help remove items that have little value and only clutter the battlefield. Auto-buy checkbox added in starting area Vendor that is enabled by default so that players can choose if they want to start with recommended items or not when the match begins. Now you can drag and drop any item (equipment, abilities or consumables) into the world and you can also rearrange your consumables and equipment using this method as well.